It has been said that Americana music is more a state of mind than a definable art form. 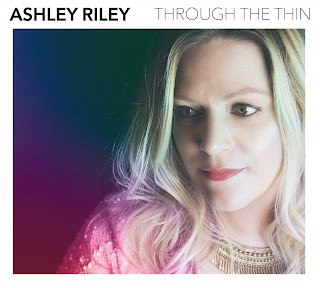 Likewise a host of superlatives and assorted literary devices only scratch the surface of the impact from listening intently to the new album by Ashley Riley. The thirteen songs that comprise THROUGH THE THIN are strikingly impressive in how they generate a mixture of moods and ambience, with the stark effect of initiating constant repeat listens. In essence this is an expertly curated album, driven by a controlled and well-judged guitar presence merging splendidly with Ashley’s hazy vocals. It’s a substantial release, weighing in at over three quarters of an hour, which gathers momentum from the early stages and packs a core punch with some sublime melodic tunes. 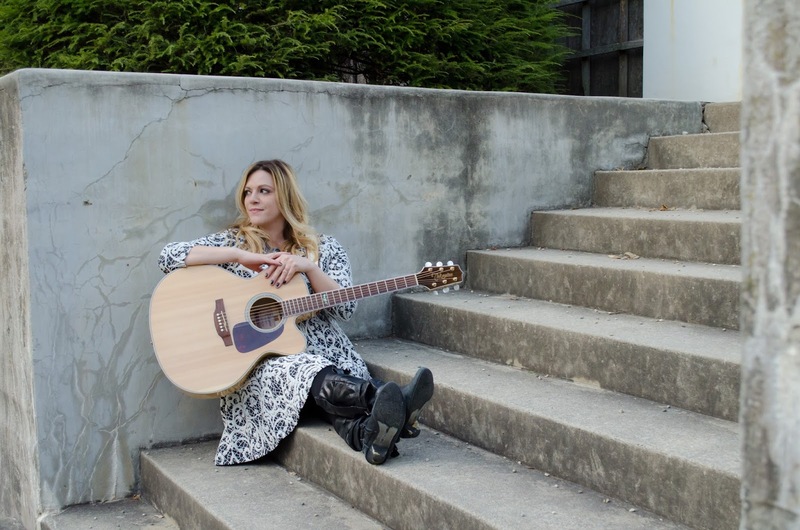 The connection with Ashley’s music is a mere product of the digital age which enables a relatively low key indie performer from Decatur Illinois to resonate with a UK blogger. Two years ago, her album ALL THE PRETTY THINGS was literally stumbled upon with a grateful ending and this follow up has been wired down a similar route with an effect that shows a significant upgrade. This is once again a self-driven project working closely with bass player Matt Comerford. The pair was joined by Tyler Bundy (lead guitar) and Ian Grindstaff (drums) in the studio and collectively they have done a superb job in getting the tracks primed for release in early April. Fans of sophisticated and smooth indie/Americana music will have little problem connecting with the album and it will also comfortably sit in the contemporary roots rock field. There is a minimalist hint of twang to flicker in alt-country circles and shades of folk rock in the lyrical side to the output. The core of the album which makes the overall record come on leaps and bounds is a quartet of tracks to drool over. The fabulous song structure of ‘This Town’ rattles your senses before leading into the stand-out track ‘See You Around’. This song has been around for a while and almost bridges the gap between the last two albums. A video is available to share the song with the wider online community and it rolls out as a heartfelt (but somewhat distant) interaction with the memorable line ‘we could talk about your family or the baby on my hip’. ‘Potion’ sees the hint of twang decorating another inspiring song and ‘Misery’ completes this mid-album sequence with the full band in increased rock ‘n’ roll mode. Either side of this album defining segment, there is no shortage of high spots. ‘Times’ kicks things off in a low key but essential building mood and implicitly leads into ‘Out to Sea’ which contains some serious guitar work. ‘Days Like This’ rolls out as track #3 with the mood and temperate atmosphere being securely set. By the time the album’s lengthy finale takes the home turn, the listener is entirely under the spell of Ashley and her band. The gorgeous ‘Stay’ shines in this part of the record and provides a warm glow to what can be described as a kinaesthetic album in how it touches you. THROUGH THE THIN is a hugely impressive contemplative album, pensive in places and wholly seductive in its presence. The pace and the balance are finely tuned with its long lasting appeal a secure lock in. While circumstance will no doubt retain the distance between Decatur Illinois and the West Midlands gig scene, there is gratitude that the music of Ashley Riley found its way across the wires to a distant land. This album will be enjoyed on many more listens and it warrants Ashley enhanced success.